Most local churches, though they speak much of things like mercy and grace and forgiveness, in actual practice betray the fact that they are legalists. How can we say this? Because all you need to do is watch how they deal with people who are oppressed by the wicked – domestic abusers, sexual abusers, and so on. Let me show you. See it? This is law, not gospel. This is treating the victim as if she were an ungodly, lawless, disobedient, unholy, profane person rather than the spiritual new creation in Christ that she actually is. A person with God’s Law written upon her heart, indwelt by the Spirit, guided and directed, taught and led by Christ. Such pastors and church leaders and even individual members who claim to be Christians preaching the gospel are in fact, right out legalists preaching another gospel with the intent of enslaving people. I say again, most churches are actually driven by law, not by Christ and the Spirit. They believe, like the Pharisees, that unless law is brought to bear upon Christians, all hell will break loose. Everyone will run to sin. Open the floodgates and the divorce rate will skyrocket. Their remedy? Law. They treat Christians like unbelieving pagans and they handle unbelieving pagans like Christians! The latter error is carried out when such churches tell the abuser “Yes, you have sinned. But Jesus will forgive you.” Understand – the typical abuser hiding in a church is anything but repentant! No matter. He is promised divine forgiveness anyway. Martin Luther wrote much about law and grace and how vital it is that we understand their realms and purposes. In particular, he emphasized that every person who believes they are called by God to serve the church as a preacher, must be absolutely certain of that calling. Because if a man is not called to preach or teach God’s people, if his “calling” is one of his own imagination, the inevitable result will be that his preaching will kill and destroy, not give life and build. He will enslave Christians because he does not know the proper use of the Law, and he will enable the wicked because they love to hear how they can in themselves merit God’s acceptance. 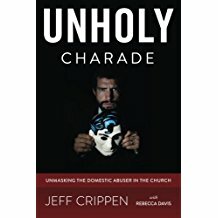 I submit to you that a primary, foundational reason local churches are abusing victims of domestic and sexual abusers and enabling the wicked is because they are teachers of law, not of gospel. Furthermore, I maintain that a chief reason for this evil is that many, many pastors and preachers and elders are not called by Christ to those positions. We do not fear that she will run to evil if we do not bind her with the Law. Why? Because she is a new creation. Because grace in the believer does not promote sin. In fact, it is the LAW that is the power of sin! So we pray with her. We tell her she has the right to separate from and divorce her abuser. We stand with her and tell her that we will support her in her decision. We stand ready to bring the Law of God and the law of the civil authorities to bear upon her abuser when it can be done so without violating her safety. In other words, in accordance with Scripture, we give her the freedom that is hers in Christ to heed His leading in her life. And then we pronounce God’s blessing, not his curse, upon her.